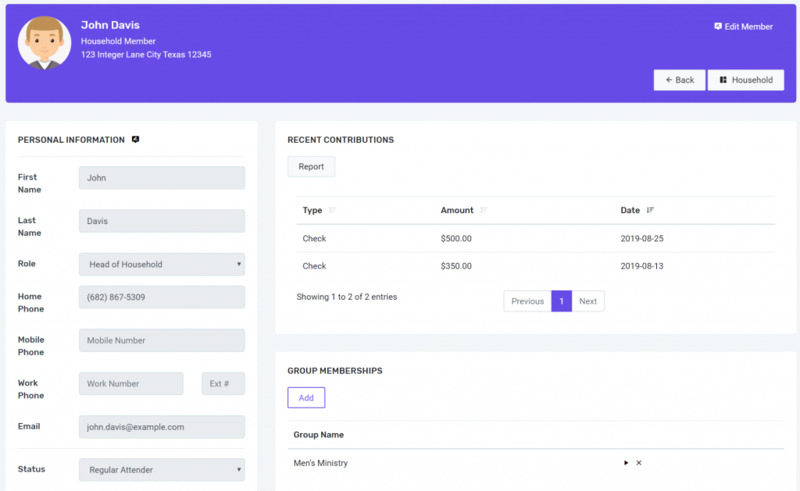 Church Membership Software and Church Contributions Software by FlockBase provides churches of all sizes a simple and easy solution to track church membership and contribution records. Easy-to-use software tracks members, families, contributions, groups, pledges, attendance, birth dates, anniversaries and more. Prints annual contribution statements, mailing labels, text directories and full color pictorial directories for your church. Ensure data entry accuracy by using the FlockBase Deposit function to easily balance contributions entered to the counter’s totals. Print text directories and full color pictorial directories on your own printer or print to PDF for off premises printing. We know that evaluating software is a difficult process and we want to make it as easy for you as possible. We want you to know what you are buying, so we provide a large number of screenshots on this website to show your interaction with the software, and a large number of examples of the many reports that are available along with complete User Guides on the website as well. If you fully explore the website, you will have a very good basis to make your decision. Church Contributions Software by FlockBase provides simple, easy to use and affordable membership & contribution tracking software.